Obituary for Jesse M Verolini | Boucher Funeral Home, Inc.
Jesse M. Verolini, 41, of Fitchburg died unexpectedly Monday, July 2, 2018 in his residence. 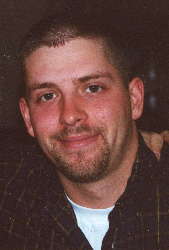 Jesse was born in Fitchburg on December 13, 1976, the son of Donald A. Verolini and Nancy Esposito. He graduated from Montachusett Regional Vocational School of Fitchburg with the Class of 1994, and was a construction worker employed by Carlco Construction, Inc. of Fitchburg. Jess was an avid outdoorsman who enjoyed fishing, snowboarding, mountain biking and camping. He loved spending time with his family and friends. He leaves mother, Nancy Esposito of Gardner; father, Donald A. Verolini and his longtime companion Monique Champagne of S. Royalston; brother, Brian A. Verolini and his girlfriend, Aly B. Smith of Baldwinville; maternal grandmother, Joan (Carbo) Esposito of Colorado Springs; aunt, Kathy McPherson; uncles, Michele Esposito, Steven Esposito and Tom Verolini; niece Brianna L. Verolini; his longtime partner Kristi Brassard; and his former spouse, Stephanie Wheeler. Funeral Services will be held Thursday, July 12th at 12:00 p.m. in the Boucher Funeral Home, Inc., 110 Nichols Street, Gardner. Burial will be in Pine Grove Cemetery, Gardner at a later date. A calling hour will be held Thursday, July 12th from 11:00 a.m. to 12:00 p.m. in the funeral home. Memorial contributions may be made to the American Cancer Society, New England Division, 30 Speen Street, Framingham, MA 01701.